Have questions About Choosing A Tanzanite? We Can Help You! This unusual blue to violet stone is one of the rarest precious gemstones in the world. Found only in Tanzania, experts maintain that the chances of finding it anywhere else in the world is one in a million. There are many imitations of tanzanite on the market, and customers should insist on an original certificate and guarantee, issued by a qualified gemmologist, when buying tanzanite jewellery. 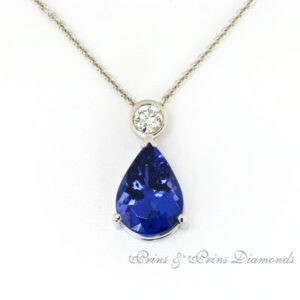 For peace of mind; insist on a Prins & Prins certified tanzanite. The Prins and Prins team is unique in South Africa, with four fully qualified gemmologists who carefully select the finest gems and diamonds. Although tanzanite is more rare than diamonds are, tanzanites are priced well below diamonds. Are you looking for a loose tanzanite as an investment, or gift, or to make into a beautiful custom designed jewellery masterpiece? Visit our showroom to select your tanzanite earrings, pendant, or ring. Or email your experienced consultant at sales@prinsandprins.com. We can assist you in the selection of your perfect tanzanite, or design and make you something unique. 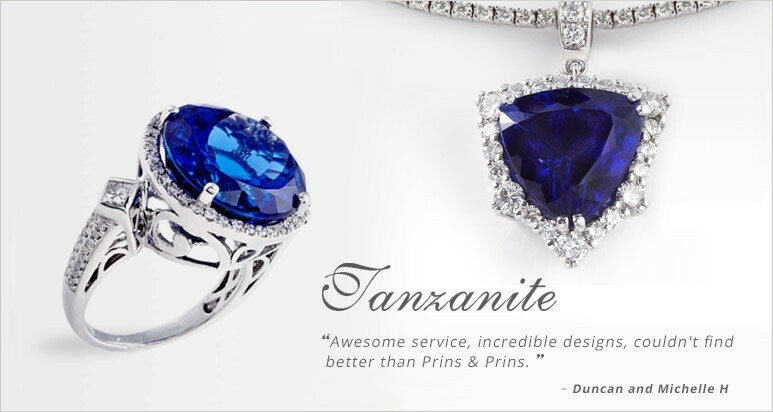 At Prins and Prins we have a large collection of beautiful certified Tanzanites, of the finest quality. Carefully selected by our GIA qualified graders, we offer unbeatable prices. Whether you are buying your tanzanite gemstone for an investment or the pleasure of wearing it, be sure you are buying from a trusted source. 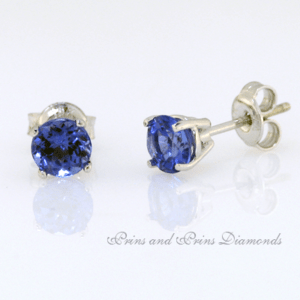 Prins and Prins have custom designed beautiful Tanzanite jewellery for clients for over 36 years. Visit our showroom to view a beautiful collection of Tanzanite stones, Tanzanite rings, Tanzanite earrings and Tanzanite pendants. 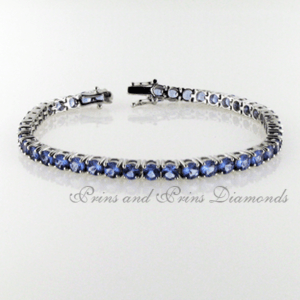 We have Tanzanite bracelets and Tanzanite broaches too. 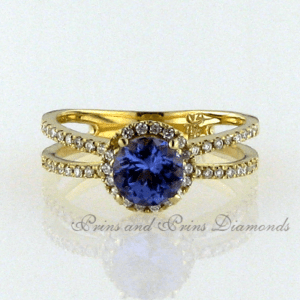 Contact us for a quote to custom create your unique Tanzanite jewellery design. View a selection of beautiful loose Tanzanite and Tanzanite jewellery here on our website catalogue. Contact us and tell us what you are looking for. Our staff is highly skilled and can assist you in the selection of the perfect Tanzanite. We can make an appointment for a free personal consultation, or tell you about our great offers. We will custom design a unique jewel to be made for you by our master goldsmiths, or view our beautiful collection of Tanzanite jewellery for sale in our Cape Town showroom. If you cannot visit us, we can deliver to you anywhere in the World. Contact us to find out more about the services we offer and how you can buy your Tanzanite or Tanzanite jewellery from Prins and Prins. Established in 1982, Prins & Prins Diamonds has grown to become one of Cape Town’s most trusted, multi-award winning, family-owned manufacturing jewellers. Dr Prins believes that knowledge equals success, and that a passion for the product you create is essential. Today his staff are the best trained in the business, and Prins & Prins Diamonds is known as “The Professional Diamond People”. Our business has an international reputation of quality and integrity. We believe a sustainable business is built on the cornerstone of trust, world-class expertise and our relationship with our clients. Only expertly selected Tanzanite, diamonds and gemstones are sold. We sell certified natural Tanzanites, and are a member of the South African Jewellery Council.